It’s important for children to have playground markings which are stimulating and exciting recreational area at nursery and school to enable them to enjoy different activities and learn new skills. 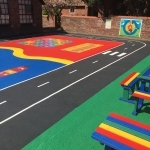 Thermoplastic play area graphic design can transform an existing tarmac playground into a fun and colourful environment which enhances both learning and play for kids. 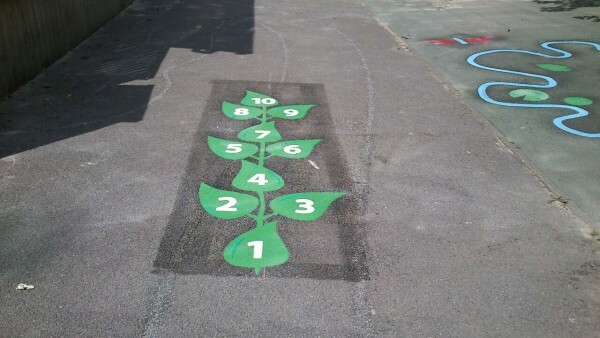 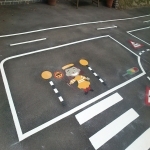 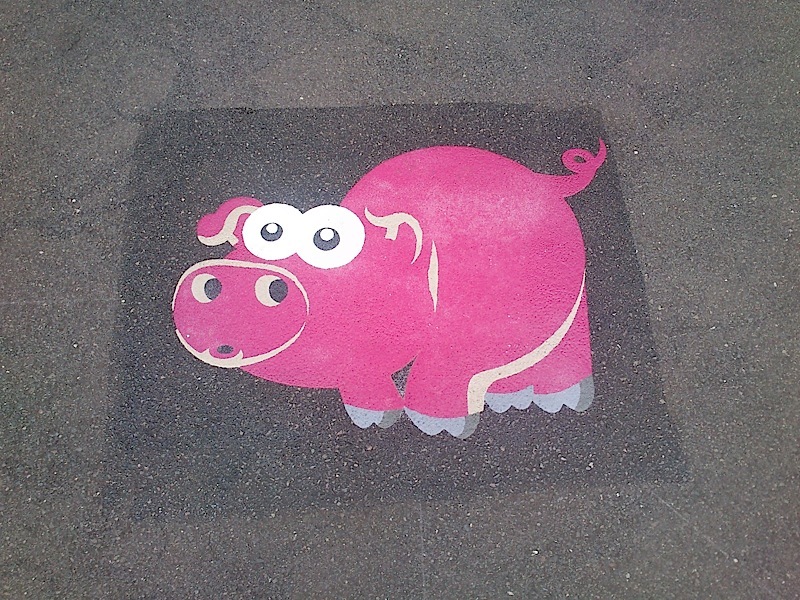 As experienced playground markings installers, we are specialists in applying these plastic graphics to existing areas. 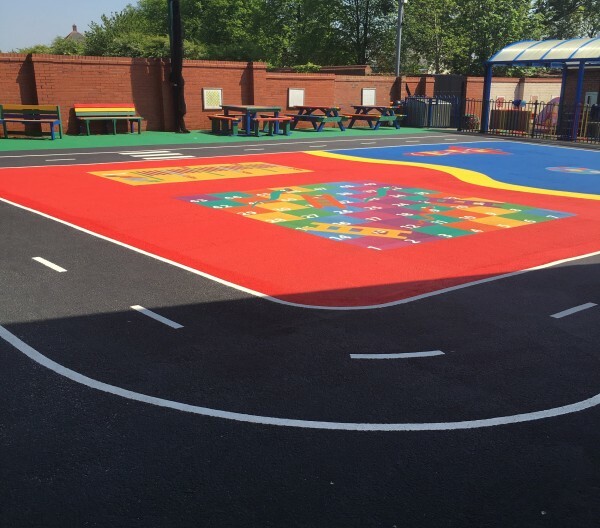 The costs for an installation could be discussed if you fill in our enquiry form with details of the work you are looking to have done. 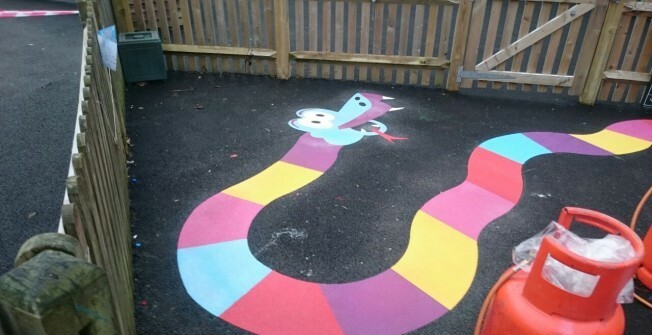 Playground graphic installers can apply thermo plastic surface graphics in a wide variety of shapes, colours and fun design's and the possibilities are endless when it comes to choosing different games and activities for the children to enjoy. 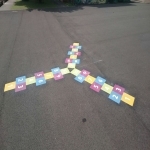 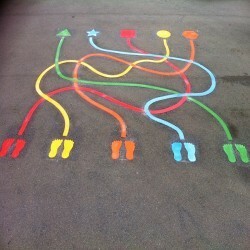 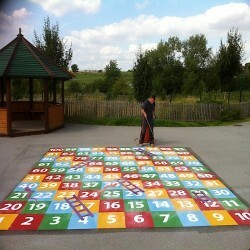 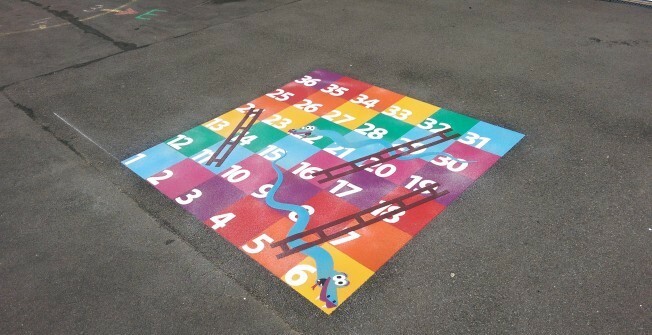 Traditional playground game lines such as hopscotch and letter and number grids are often chosen by schools and nurseries to enhance English and maths learning. 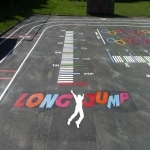 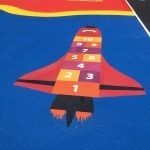 However, as playground line-markings installers we can also provide graphics like cartoon characters, roadways, maps and sports thermo plastic markings, along with bespoke design's for individual local schools and organisations closest to you. 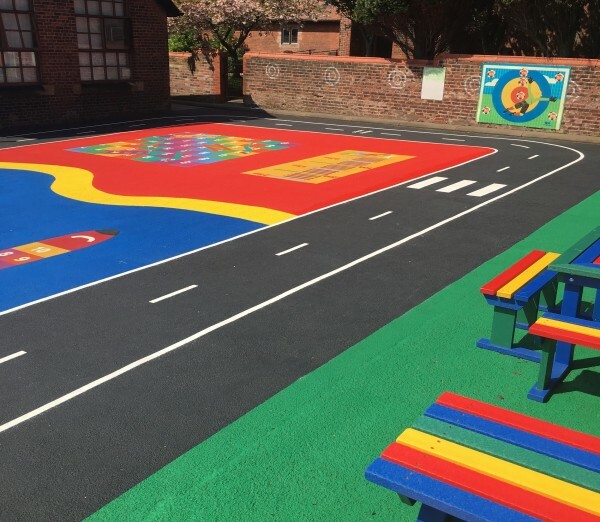 Not only can these heat applied plastic design create a fun environment for nearby kids to play, they also teach important lessons about social skills, road safety and healthy lifestyles. The costs of having thermoplastic play area graphics applied will vary for each project depending on the type and amount of design's you choose to have installed, but prices can be tailored to individual budgets. Many nearby schools and their surrounding areas choose to have playground marking relining which is applied to replace or cover up any existing graphic designs which may have faded or become damaged. 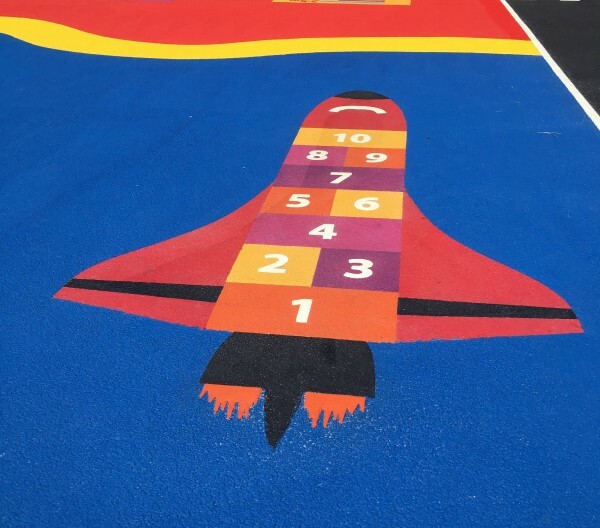 If you’d like more information about heat applied plastic playground markings please contact us and we’d be happy to discuss your enquiry with you. 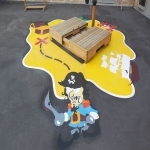 We pride ourselves on offering great quality products at good value prices so we can be flexible on our quotes to help you get the play area surfacing you want at a price your organisation can afford. Feel free to fill in our contact form today and one of our experts will be happy to talk you through all of the design options as well as costs for markings and games you would like us to apply.